Access to health services is a critical component of effectively serving the needs of homeless TAY and youth. Policies and practices in health services that can have a positive or negative impact on housing stability. 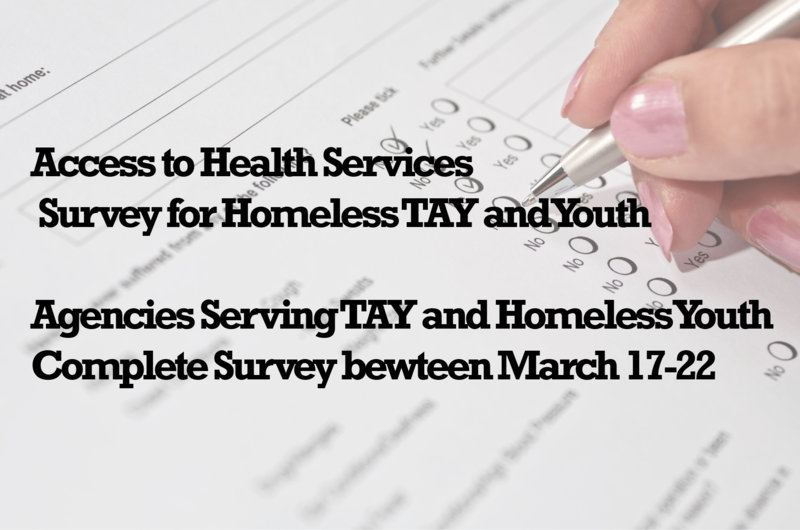 In partnership with Community Health Councils (CHC), USC is conducting a study on health access and we are asking agencies who serve TAY and/or homeless youth to complete the survey. Questions in this survey are compiled in an effort to further understand how current policy and practices influence homeless TAY healthcare accessibility in South Los Angeles. Understanding the landscape of current services will help inform both limitations and strengths of services and illustrate the full impact of policy. We ask you share your knowledge and experience and help direct our research.